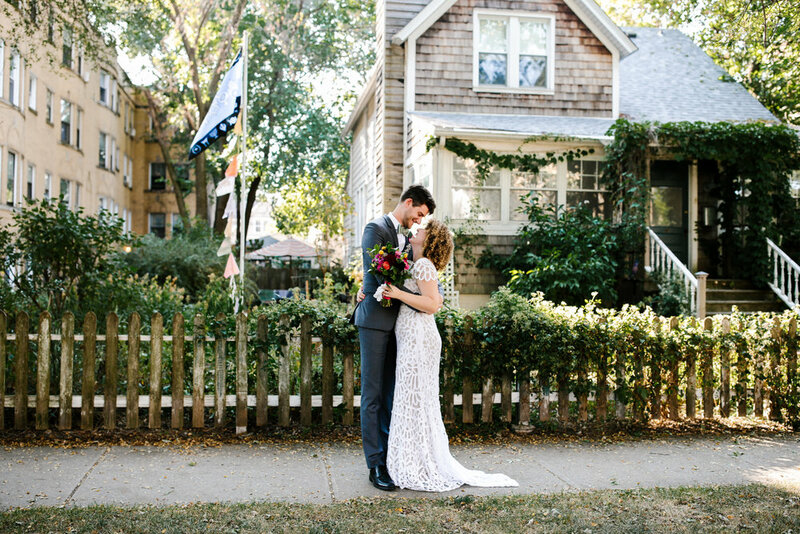 "Anna truly has everything we were looking for in a photographer for our big day. In terms of personality, she is a true joy to be around. She has a calming presence that really reels people in, even if they haven’t met her before. For me (the groom), it was incredibly important to know that the person taking photos of my soon-to-be wife as she was getting ready that morning was someone she would feel nothing but comfort around, and I knew that would be the case as soon as we met with Anna. She is fun, charismatic, outgoing, adventurous, and unbelievably joyful- exactly the kind of person you want both in the small intimate moments, as well as when the party is getting started. In terms of talent, we were drawn to her work immediately. The big thing we were looking for in a photographer was someone who would be able to capture the small moments that we would potentially miss or graze over the mix of everything going on; the real moments between people, especially the subtle ones, where a tangible emotion is felt. We could tell through looking through Anna’s catalog that this was her specialty, and she really delivered for us. She captured everything we wanted, and more. The photos are stunning-elegant, simple, artistic, and real." "I could not believe how lucky we were to find Anna - upon our first video chat, she immediately felt like a long-time friend. We showed her our venue and she was excited and bouncing around ideas with us. Throughout our pre-wedding experience, Anna was responsive, creative, and just plain fun. On the wedding day, Anna was on our side, always focusing on making sure we were on time and doing everything that needed to be done AND she was a blast to work with. All of our guests loved her! She made jokes, sang little songs, did dances with us... just the most positive and upbeat vendor. She was efficient but kept it fun while also getting through the photos that we wanted. We just got our photos and they look like they are from a dream - I could not be happier with them. It makes sense though, as Anna is a dream to work with!" "Anna is THE BEST! She is one of the first vendors we booked for our wedding and we couldn’t be happier with our decision. We worked with Anna to shoot our engagement photos and our wedding. Throughout the whole process she was collaborative, energetic and SO fun to work with. When she’s behind the camera she has a way of making you feel comfortable, at ease and in the moment. This definitely showed up in our photos as everyone was clearly having a blast! She also did a great job of encouraging my wife and I to take some time to ourselves during the cocktail hour to catch our breath and take it all in. The photos of those ‘time out’ moments are some of my favorites from the entire day. Beyond doing an amazing job of perfectly capturing our day, she was also incredibly patient during the portions of the day that could have been stressful. Coordinating and capturing our family photos before the ceremony went off without a hitch and that is no easy task. We can’t recommend Anna enough, just book her already! 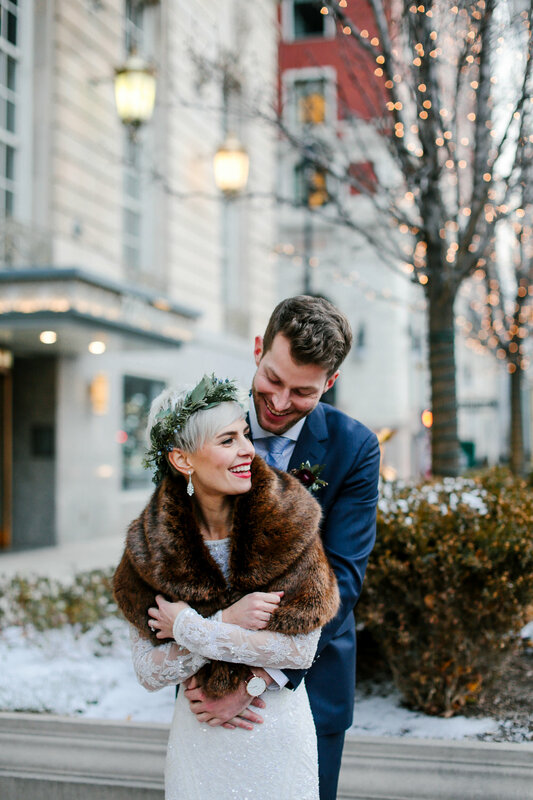 :)"
"Anna was the very first vendor I booked for our wedding! I was impressed by her beautiful pictures and knew that her eye would be perfect for what I envisioned. My expectations were already pretty high and Anna went above and beyond. Anna is so talented and obviously loves what she does and it comes through in person as well as in her photographs. After the wedding was over, many guests told us they loved our photographer! She's great at directing people, and was so fast at getting all of our group shots out of the way. One of my favorite parts of my wedding day were the moments that Anna took me and my husband away from the guests to have some quiet moments with each other. It really helped us stay connected to each other throughout the hectic day. Anna was wonderful, and I'm so happy I found her!" "I contacted her right away, and she responded promptly with answers to questions, pricing options, etc. My fiance and I were pretty set on her, but then we met in person, and it was just the reassurance we needed that she was the right fit for us. We'll have our engagement and wedding photos for a lifetime, and I feel like we'll cherish the photos forever - they give us all the feels and take us back to the special moments that mean so much every time we look at them."